There comes a time in the life of an AR-15 owner where the blandness and minimal utility of the classic plastic handguards lose their charm. While lightweight and good at dispersing heat, the old guard(s) are bulky, clumsy, and add a somewhat unnatural bloat that makes the sleek design of the rest of the AR look interrupted and incomplete. There are lots of options out there. The fad, for the longest time, was quad rails. 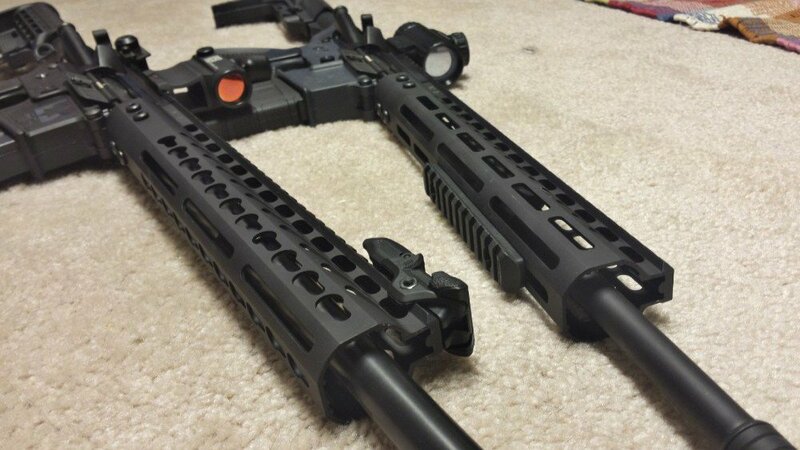 Quad rail everything, in either free float or clam-shell. While functional, quad rails added miles of rail space that usually went completely unused. Manufacturers had to come out with rail covers, just because those hard-edged ridges tend to be not so friendly on our delicate hands during ‘running and gunning’. All that extra aluminum, and plastic to cover it added quite a bit of weight. The market slowly adjusted to consumer desires. At that point, handguards became fascinating. The first significant change was to strip all the rails off. While that cut down on weight, people still needed to attach one or two things (vertical forep…grips for example). 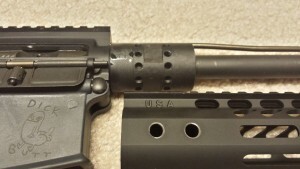 Companies started coming out with rail sections that could screw into the handguards, but they were often proprietary and expensive, and we all know that end users like things that are not exclusive and not expensive. 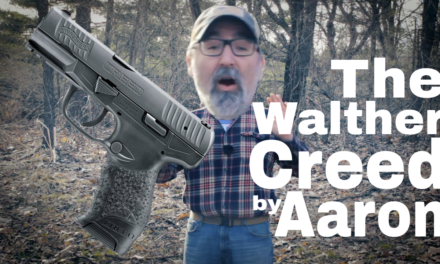 Enter VLTOR and Magpul, the Julian Assange and Elon Musk of the firearms world. 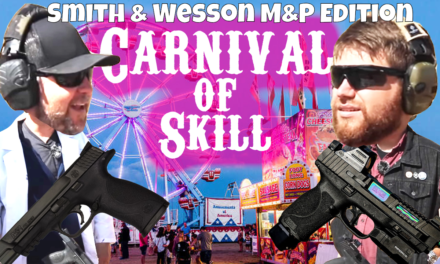 In a relatively short period, both of these behemoths decided to create universal industry standards for the firearm accessory markets. Each system has its way of accepting various attachments on just about any point on the rail, and, what is more, the intellectual property surrounding those methods was left to be open sourced. Now any company could make any accessory they wanted that could attach to one of these two designs and not have to pay royalties. Thus, making manufacturing cheaper, which translates to lower prices for the consumers. 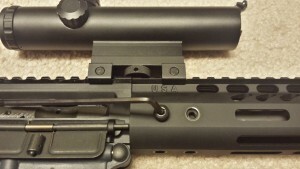 The handguards are pretty straightforward when it comes to attaching them to your receiver. However, this is the point where we come across the only significant negative about these handguards, and it isn’t even about the handguards, it’s the wrench they supply. 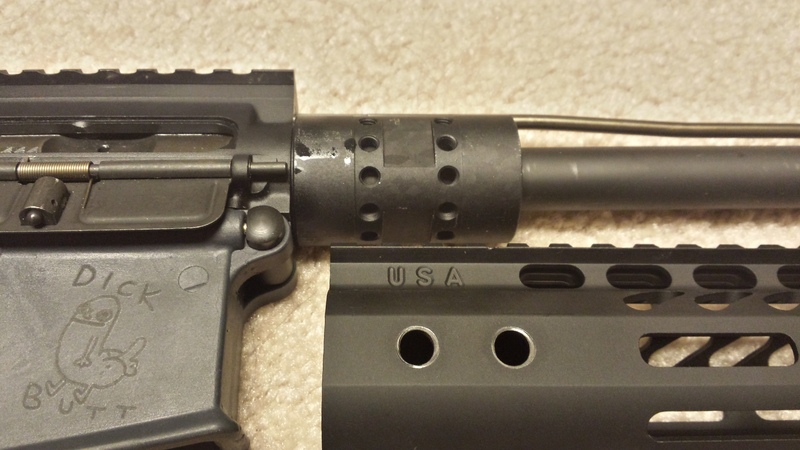 Not only does it accumulate rust after a mere few days of exposure to air, but it also bends as you torque down on the barrel nut, so that if you plan on removing the barrel nut more than two times, you are probably going to end up slipping and partially stripping the gripping surfaces. As you can see, the barrel nut is low profile, such that it slips underneath the gas tube. 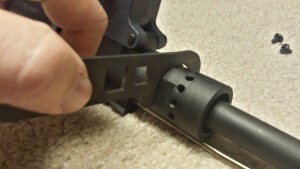 All you have to do is make sure that the screw holes line up with the over-sized ones from the handguards by using some rail attachment that allows for alignment of the upper receiver and the top rail. Keep in mind that these rails are extremely thin. So much so, that when you install your M-Lok rails, you have to do so with the handguards off of the barrel nut, then slide it around the low profile gas block such that the screws poking through will avoid contacting the gas block. Once installed, these handguards look badass. There’s no other way to say it. While there were a few tiny nicks that I observed on the finish, it’s much more durable than I would have thought. I used my nail to try and scratch it and only came away with a bit less nail than I started with and the marks rubbed right off. These rails are light. At a brisk 9.1 oz, they are only slightly heavier, if not just as light as, most carbine polymer handguards. 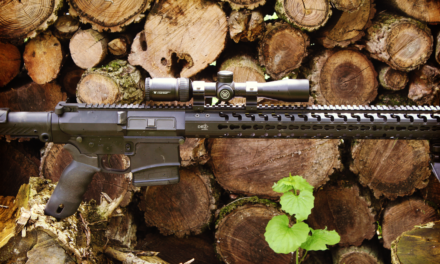 Keeping your rifle lightweight, with a much thinner profile, more attachment options, and more inherent accuracy than non-free floated options. 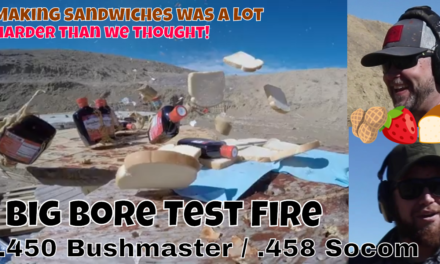 My primary concern with these handguards was heat transfer. I had both a pencil profile barrel and a medium profile barrel on my AR’s so I figured that would be a pretty good test. X-Products (review coming soon) was nice enough to send us one of their coveted skeletonized 50 round drum mags, which is just what the gun doctor ordered. The gun was mounted to my DB-5000 sentry arm, and we ran two drums worth (100 rounds) and a standard AR mag (30 rounds) through it as fast as we could pull the trigger. The section of rail around the barrel nut, being exposed to the most heat, was mildly warmer than my cold hands in 40-degree weather. 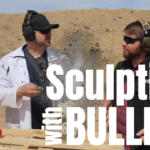 I burned through 30 rounds in my heavy barrel 7.62×39 upper, but the results were even cooler. I didn’t expect it to be any hotter considering there would be much more metal to heat. 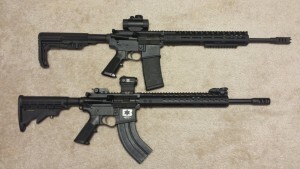 These 12” models, in both M-Lok and Keymod, come in just under $100 on their website and considering you can buy more well-known brand names for at least twice that price, the Guntec offerings, for near the same quality, seem to be more than adequate for the cost. My only suggestions would be for them to make their wrench more robust and to add a QD hole between the locking screws and the first rail attachment slots. Otherwise, I have zero complaints. 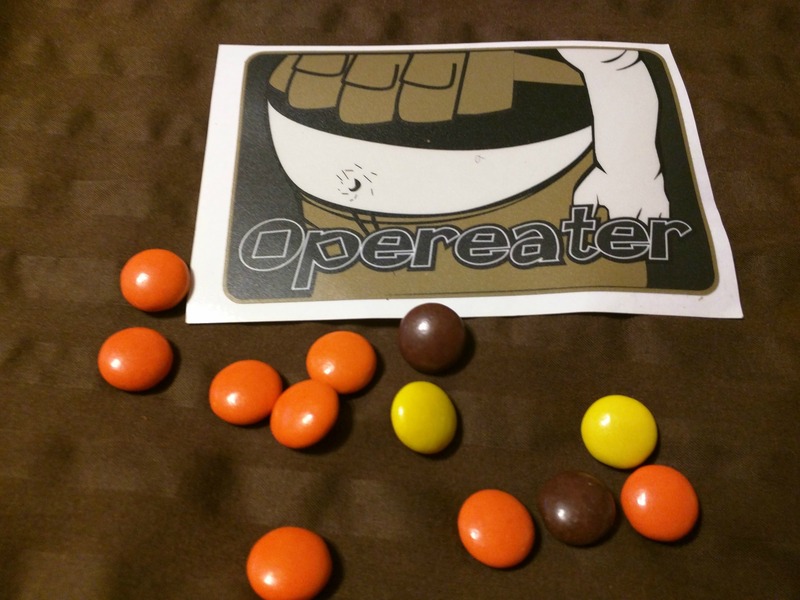 Top 10 reasons why a fat operator is better than you.